Zombies are invading the bases where the survivors dwell. You've been proclaimed commander and are in charge of battle. Arrange soldiers and armament strategically on the field and don't let any walking dead go through! You're the owner of a unique company you create zombies. Spend on investigations to improve the species and take over the world! Welcome to Zombotron, a planet populated by zombie humans. Nobody knows where they came from or what they eat, but one thing is clear they're willing to destroy everything they can. New levels available! The cannon is broken, but who cares? These bombs are alive! Take them to the fire, light them up and then destroy the pirate zombies on this island. 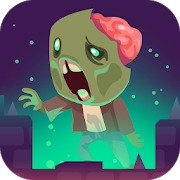 New levels full of even more explosive zombies are available. Arrange the TNT loads wisely and make all the zombies in town blow.